The Ford Ranger has been brought back for 2019 after a seven-year-long hiatus. If it looks familiar, it is a reskinned version of the T6 Raptor, seen overseas. There's a trapezoidal grille, running lights (LED for higher trim levels), and a number of interior add-ons. The Ranger will now have a Wi-Fi hotspot, cruise control, and a 3.5-inch infotainment screen. An EcoBoost turbocharged engine will deliver plenty of performance, too. You'll notice quite a few things that are new for the 2019 Ford Expedition, including a blacked-out Stealth Edition. There has been a complete redesign, making the large SUV more attractive than ever. There's more technology, more safety features, and a number of other upgrades. Even the engine is different, adding some more power so that it's ready for any trip that you want to take. 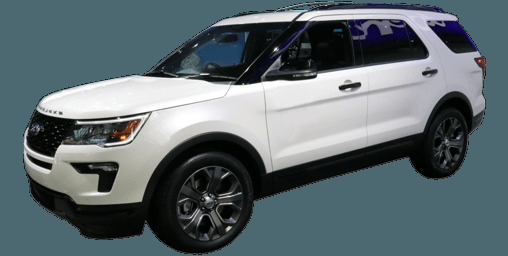 Use this third-party compare tool to see how the Ford Explorer compares to the Acura MDX, Audi Q7, BMW X4 and other vehicle models.